Last November Albert and Marianne married at the Goodstone Inn, in Middleburg Virginia. Albert proposed to Marianne at the inn, so it was of course the perfect place for their amazing wedding. The couple married in front of an old stone ruin that was the original manor house of the estate. We hung a huge floral garland at he doorway and we created cascading arrangements for each window of the ruin. I knew when we were creating the ceremony space, we were designing something magical. 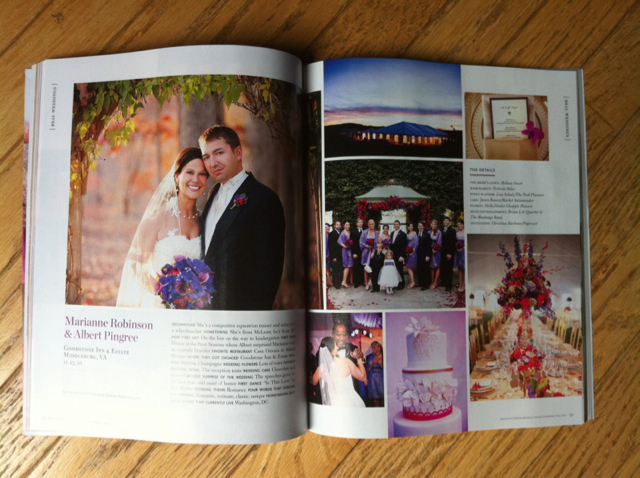 So magical, that this wedding has just been featured in the current issue of Washingtonian Bride & Groom. I have yet to see the new issue but I understand it is a beauty and I am anxious to see our work featured. 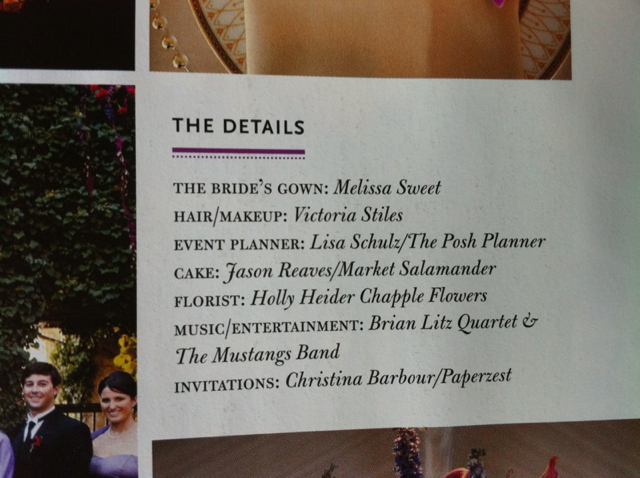 We are beyond thrilled to have our designs recognized by Bride & Groom, and honored that in addition to this fabulous wedding we have a second wedding that made the magazine as well. We will be showing you those images later this week. Have a great day, we will be in the studio preparing for this weeks events!! Oh. my. word. I’m sitting here with my mouth hanging open. You hit the nail on the head- completely magical! It’s reminiscent of Beauty and the beast- I LOVE IT! When I opened up the post, my first words were, “Oh my goodness.” The wall, garland, and window pieces took my breath away. After long days, I use your blog as a little treat to feast my eyes on…far fewer calories than ice cream on a stressful day. Your work nourishes my brain and my heart with beauty. Thanks for sharing your work.